Worried that your traffic and sales will take a nosedive because Mark Zuckerberg announced changes to Facebook’s algorithms specifically limiting feed to family and friends? While this news gave every media entity, blog and social media influencer a reason to communicate with their audiences, you shouldn’t be surprised. Facebook’s organic reach declined 20% by mid-2017. As a result, you need a mix of organic and paid Facebook options. Expect this trend to extend to other social media entities. Facebook announced in 2016 that they were running out of places in the newsfeed to show ads. This translates to higher advertising prices. You drove measurable results using the combination of Facebook’s organic reach and efficient ad targeting. While allowing one customer, supplier, distributor or media entity to monopolize an element of your marketing may yield strong short-term results, over time it allows them to control your results. For example, a client of mine dependent on search traffic almost went out of business due to a small, unannounced Google change. So what can you do to keep your traffic and sales flowing? Diversify your digital media channels to reduce risk and make your marketing more stable. BUT—Don’t panic and try to do everything at once. If you do, chances are that you’ll spread your resources too thin to accomplish measurable results. 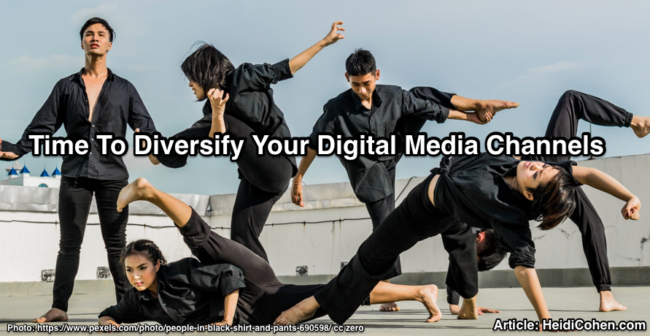 We’ll show you how to diversify your digital media channels. Build your email list and tailor content toto extend your reach while meeting specific needs. Distribute content to employees. Tailor content to increase consumption. Segment and customize customer communications. Where possible, personalize emailings. Work with sales to provide quality communications to help close deals. Also provide related content. Get help from customer service to create content that answers prospect and customer questions. Ask HR for support. Offer your content to job prospects and alumni staff. Publish content at least once per week to remain visible. As a media entity, consistency matters. Make every article an entryway to your email list, blog content and product offering. Focus on new email on-boarding. Use a welcome series likeEnchanted Marketing’s Henneke. Also, include a “Start Here” tab on your blog like Problogger. Update your best content to keep it visible. Audit your content to keep your top content current and driving traffic. Follow Michele Linn’s 5 Step approach. Reward your best readers and fans. Ask them what they’d like. Social media are platforms that enable members to participate in, comment on, and create content to communicate with friends, family, other members and the public. But building community requires investment in staff, content and advertising. 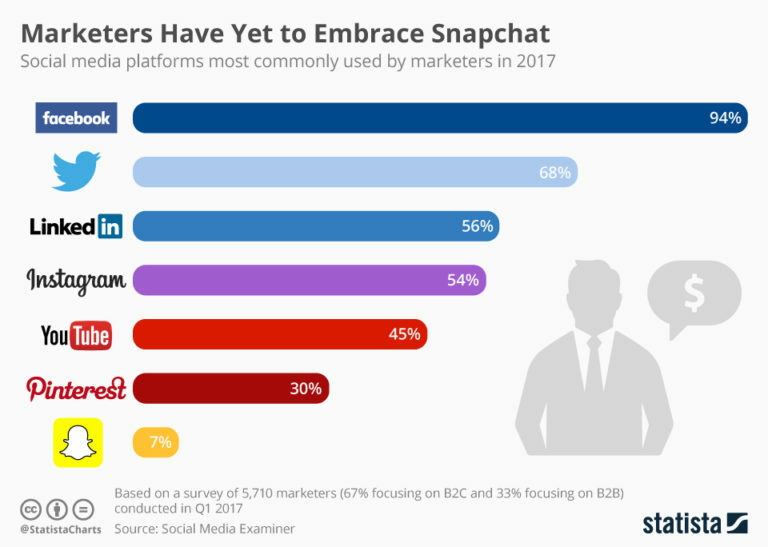 For most marketers, Facebook is at the core of their social media strategy and plans. Therefore you can’t stop using it based on an announcement without hurting results. Instead diversify your social media marketing strategy and budget. This includes your employees, agencies, tools, content and advertising. Determine which other platforms will grow your business. Start with one or two before extending your resources too thinly. Also add aggregators like Reddit, Inbound.org and GrowthHackers to support content amplification. While aggregators aren’t necessarily social media, they have similar features. Be active on at least one of these platforms to support content distribution. Where relevant include review sites and communities. Contribute to these communities. Options include Amazon, Slack, Yelp and TripAdvisor and niche forums. Train employees to support your marketing efforts. Show employees how to participate on social media and have a set of social media guidelines in place! 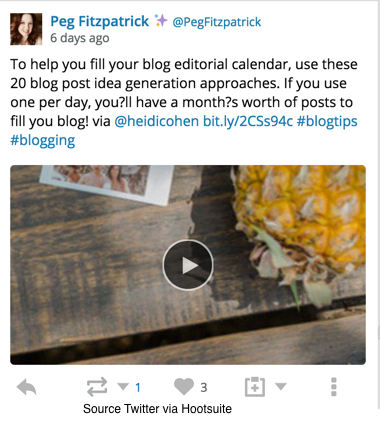 Use scheduling tools to support social media participation. Create your own visuals and commentary when sharing other people’s content. See how Peg Fitzpatrick curates other people’s content. Peg Fitzpatrick curates her social media shares with new images and text. Participate in social media community activities like Twitter chats. Integrate social media sharing into your content. From a digital marketing perspective, third party media includes the top media entities and blogs in your vertical. Build relationships with third party media entities by sharing or co-creating content or by paying for promotion or the creation of branded content. 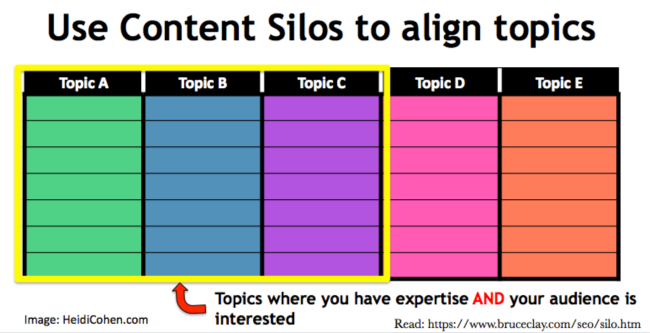 Assess the top conferences for opportunities to present, sponsor, and/or create content. These events determine the year’s themes and influencers. At a minimum, send an employee to participate. Select the most relevant media entities for your category. If possible, contribute articles or become a columnist. (Note: It doesn’t have to be a marketer!) Where budget permits, test advertising options. Monitor the top blogs in your vertical. 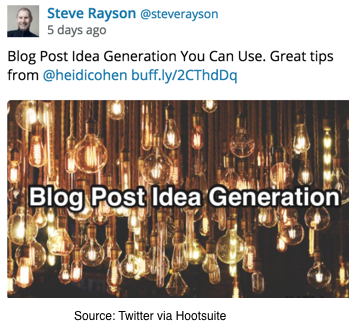 At a minimum, read their content to determine key topics. Participate in the related conversations on their blog. Where appropriate, contribute guest posts. Also consider advertising or co-promote an online event depending on your budget and their audience. Lastly use PR outreach for your major content, research and events. Search is a form of third party media where the content is created via algorithms. 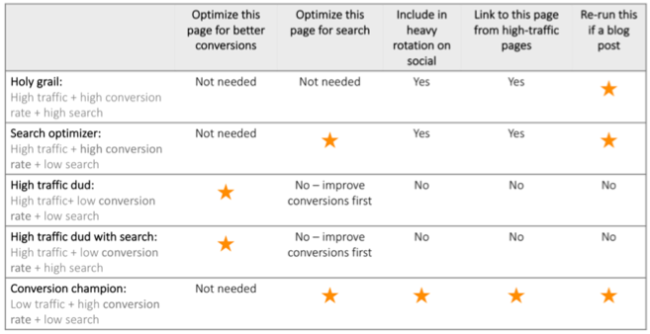 As a marketer, focus on search separately. Search is a long game. You can’t publish content and expect that it will yield immediate search results. Rather integrate search into your content creation to build domain authority over time. Optimize your website and blogs for your key search terms. 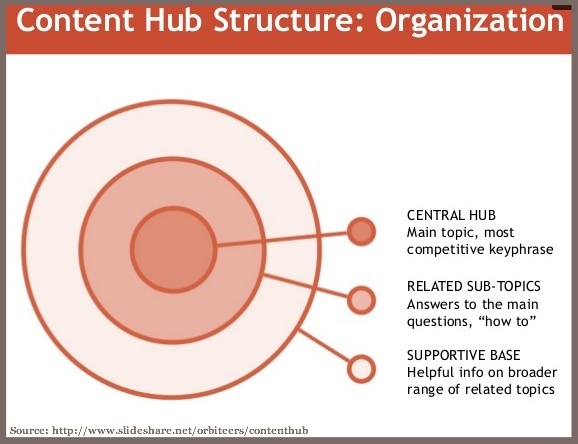 Focus on your search term silos and content hubs to maximize results. For example, Orbit Media’s Andy Crestodina maps out each blog post to yield specific results. Remember YouTube is the second largest search engine after Google. Add video to YouTube to provide another entryway to your content where appropriate. For example, Smart Passive Income’s Pat Flynn stated that he planned to increase his YouTube presence in 2018. 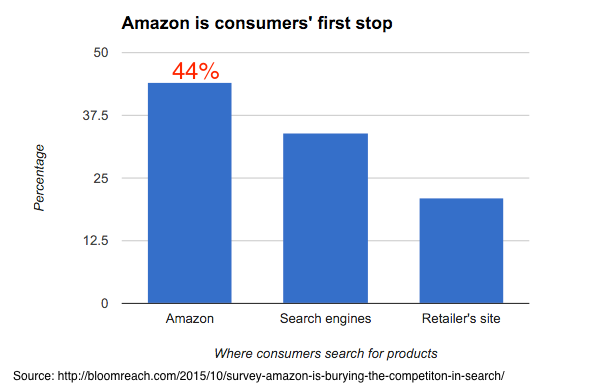 Depending on your product offering, Amazon may be your prospects’ first stop. According to research, over 40% of shoppers start a product purchase on Amazon even if they don’t purchase there. While not technically media entities, influencers sway their followers’ choices based on their relationships. As such, marketers can tap into their ability to persuade key audiences. Further, with Faceboook’s move to eliminate ads from the News Feed, influencers’ content and communications will still get through. 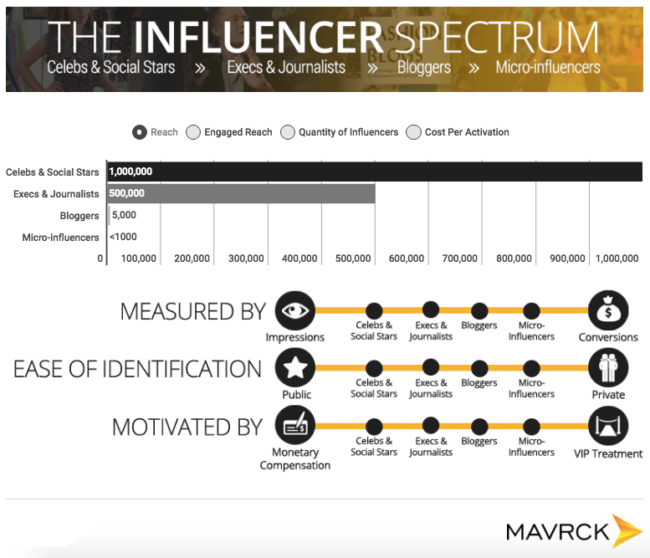 Major influencers have large followings based on their knowledge or experience in a specific field. Often it’s been built through an existing media entity. Fremenies. Are your peers and competitors. While frenemies aren’t conventional influencers, they provide a great way for peers to co-create and promote content through exchanges. Target the same or similar audiences with slight differences in approach. Microinfluencers. Have significant sway over small numbers of people, often family or friends. Influencers aren’t free. Don’t assume that they’re willing to shill for your business. Assign members of your team to build relationships with specific influencers. This means following them on social media and reading their content and making connections. Support your customers who are influencers in their own right. When I was at The Economist, we featured well-known politicians and celebrities in our advertising. 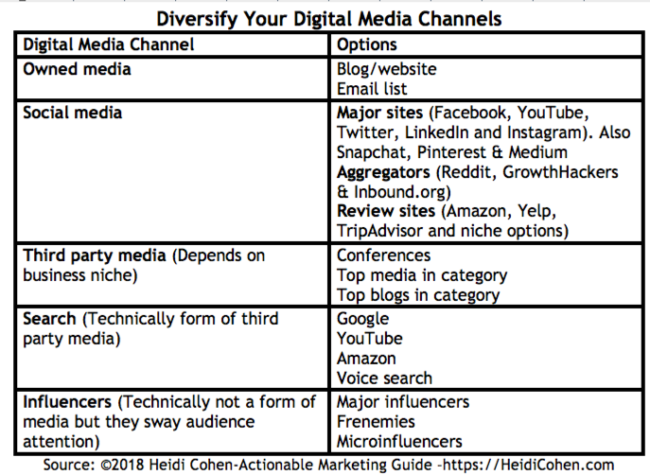 Diversifying your digital media channels should be a no-brainer. You wouldn’t put all of your money on one bet, would you? But Facebook’s organic and paid reach are seductive. They’ve yielded better and more trackable results than other digital media channels so you don’t realize that you’re only focused on one channel. Given the dynamic nature of digital media, maximize every marketing tactic to protect your business against unforeseen changes. Not just your Facebook marketing. Take a strategic approach to each element of your digital marketing mix to ensure that you’ve diversified away the risk of any one customer, media channel, supplier, distributor or employee controling your results. Tags Amazon, Andy Crestodina, Facebook, Gini Dietrich, google+, Henneke, Influencers, Jon Loomer, Michele LInn, Mike Stelzner, owned media, Peg Fitzpatrick, problogger, Search. Bookmark the permalink. Heidi, I must say you have explained this Very well. All businesses should focus more on the digital trend which can give rapid growth to your business. I’ve been reading about FB changes whole morning – have you by any chance read Jon Loomer’s post Heidi? Yes, once changes in Facebook Algorithm we need to diversify digital marketing channels and local business and local traffic is important for business. Heidicohen — Yes your are right, local businesses have limited budgets but digital marketing will help them to manage budgets, help to increase traffic and help to increase sales also, Good digital marketing company give them proper planing and set ROI on that basis local businesses will get good benefits. What do you think about local businesses who have customers “check in” will that allow them more visibility? And, if so, wouldn’t it be great if we could have some kind of digital check in, that would signal a two way interest to Facebook. I totally agree with your main point that diversity is critical. Even local businesses need to diversify their use of digital media across owned, social media, third party media, search and influencers. Rather than having prospects and customers check in on Facebook or other platform, local businesses should focus on getting visitors to share photos of their purchases across different social media platforms including Instagram! Additionally, local businesses should tap into the power of their local organizations to create events that are larger than just one store. This gives prospects and customers a reason to make a special trip. For example, NYC yarn stores create a yarn crawl that encourages shoppers to visit many shops in one weekend. Good point. I wouldn’t like that.